Complete automation of gate helps you keep detailed logs of events, enhance security and reduce manpower cost. 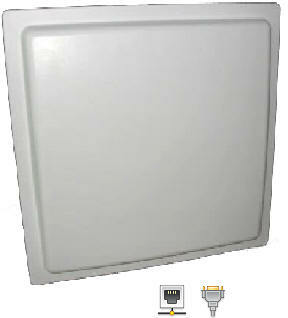 Integrated, high performance 12dBi circular antenna ensure long-range reading&writing and easy installation. Multi-protocol support: ISO 18000-6B&ISO 18000-6C(EPC Gen2). Super anti-interference ability for its FHSS frequency working method. Software with different Programming languadge allows easy upgrade. Waterproof and sunshine defending, idea for outdoor applications. All kinds of communication interfaces and customizing is available too. tag mode: Identify tag mode can be setted as: Reads the tag in fixed time automatically or; read tag after external triggering or software command. tag time: No more than 5ms every 8 bytes when reading, 25ms every 4bytes when writing. 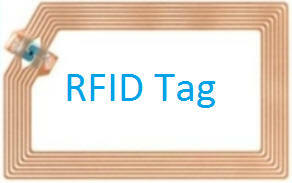 We Offers wide range of Long Range RFID Solutions we have successfully expanded our product range, technological scope and research & development efforts in order to quickly respond to new trends and provide customers with appropriate products and time and again set new standards in the RFID industry. 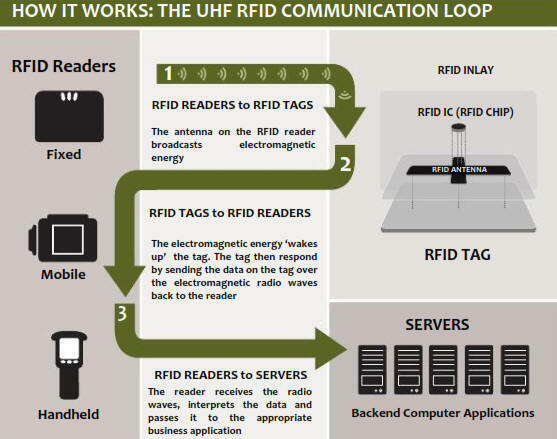 There are several versions of RFID that operate at different radio frequencies. The choice of frequency is dependent on the business requirements and read environment it is not a technology in which 'one size fits all' applications. 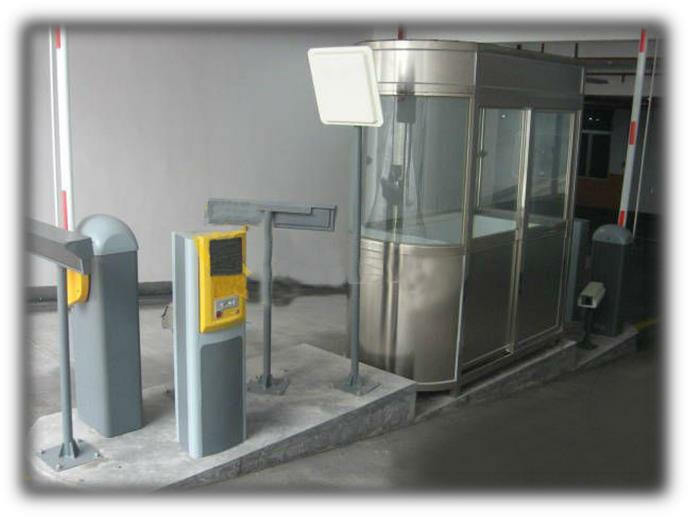 A wide variety of RFID Reader are available for various models and different applications. Reader with excellent performances in terms of reading distance of the tag. Thanks to the integrated battery in the pistol grip, UHF GUN ensures easy handling and very long battery life. Complete automation of gate helps you keep detailed logs of events, enhance security and reduce manpower cost. Our solution based on latest long range RFID can help automate the complete operations. Who benefits from Park One? All vehicles are tagged with RFID tags for automated authentication Easy and faster authentication. Retailers need detailed inventory information to keep the right items on the shelves of the store. But manual cycle counts are too costly to be performed frequently enough to provide current information. UHF RFIDâ€™s constant and accurate inventory information provides visibility into inventory levels, allowing retailers to make sure that customers find the products they want to purchase on the store shelves. And since the information is collected automatically, sales associates can spend more time with your customers â€” instead of managing inventory. In the distribution industry, profitability is tightly tied to how fast and accurately inventory moves in, through and out of the warehouse. With UHF RFID, warehouse workers have the visibility they need to process thousands or hundreds of thousands of items every day, as fast and accurately as possible. For manufacturers, success hinges on the speed and accuracy of their manufacturing operations. UHF RFID provides instant and accurate tracking of information at every step inside the manufacturing plant, trimming wasted time and costs out of end-to-end manufacturing processes â€” from receipt of raw goods to RFID-enabling supply, sequencing, assembly and shipping of final product. The net result is a leaner and more profitable manufacturing operation. Data rates are usually dictated by the system - how much data must be transferred and how often does the transfer need to take place. Lower data rates, allow the radio module to have better receive sensitivity and thus more range. In the RF modules the 9600 baud module has 3dB more sensitivity than the 19200 baud module. This means about 30% more distance in line-of-sight conditions. 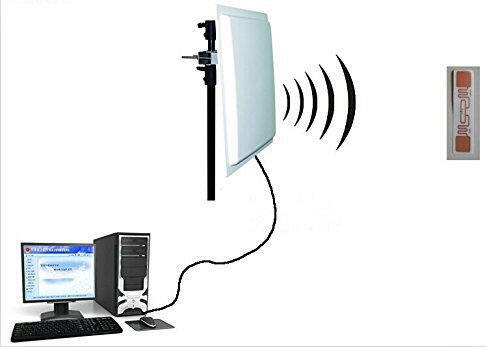 Higher data rates allow the communication to take place in less time, potentially using less power to transmit. 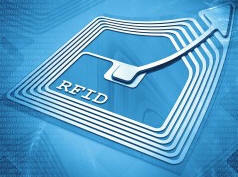 RFID is essentially available in 3 different types, each with their own benefits and limitations. In the Auto-ID industry UHF is the most common but it is useful to know how to distinguish each one. Low Frequency RFID operates at the 135kHz range and has a very short read range (an inch or 2 normally). 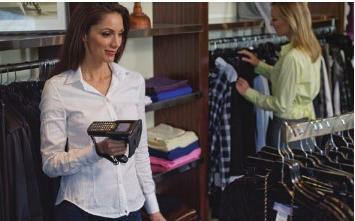 This type of RFID essentially requires contact to a reader to capture the data. While this type is not useful for product tracking, you will find it embedded in IDs and other key Fob applications for access/parking control, authentication, event attendance management, ticketing, and card payment. High Frequency RFID operates at the 13.56MHz range and has a short read range of about 5 inches normally but with specialized readers and larger tags you can reach almost 3ft. HF RFID tags have less interference issues than UHF so while their range is limited they are a good solution for small object tagging on automated lines. High speed reading is also possible which has made HF a good option in healthcare environments where small vials and samples need to be read. 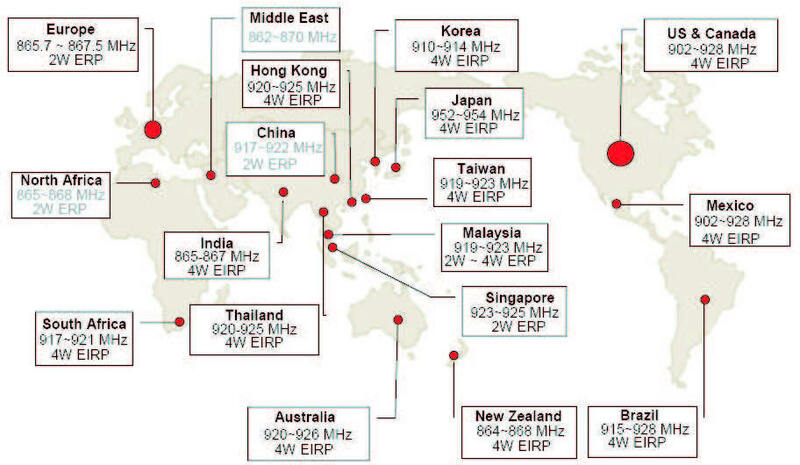 Ultra High Frequency RFID operates between 902-928 MHz in North America and has read ranges up to approximately 10ft. UHF has become the most used option in Auto-ID applications due to its long read range and dropping costs. 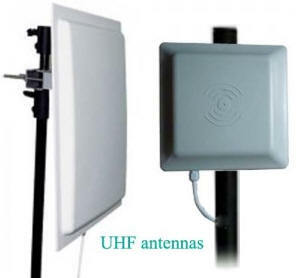 UHF does have more issues with interference but a well designed system can overcome these issues. UHF RFID is also well suited to mounting on label stock making it the perfect item/container level tag option.